Thursday, July 11, 2002. Philadelphia, PA. Photos by Mike Levin.- Perspectives for the Differently-Abled- Marriott hotel, Salon K & L. - (left - right) Laura Rorem from Juneau, Alaska speak about Mental Illness and brain disorders. 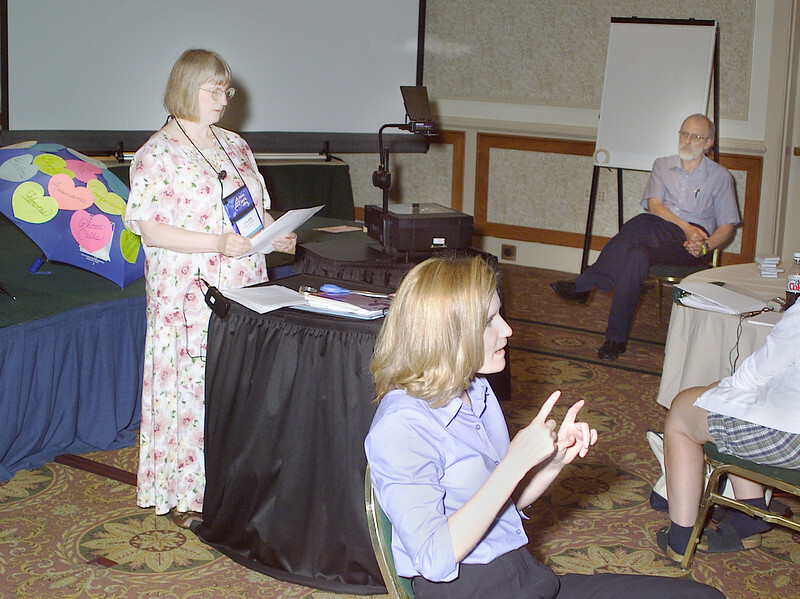 Kristen Parkhouse translates into sign language while Larry Rorem looks on.